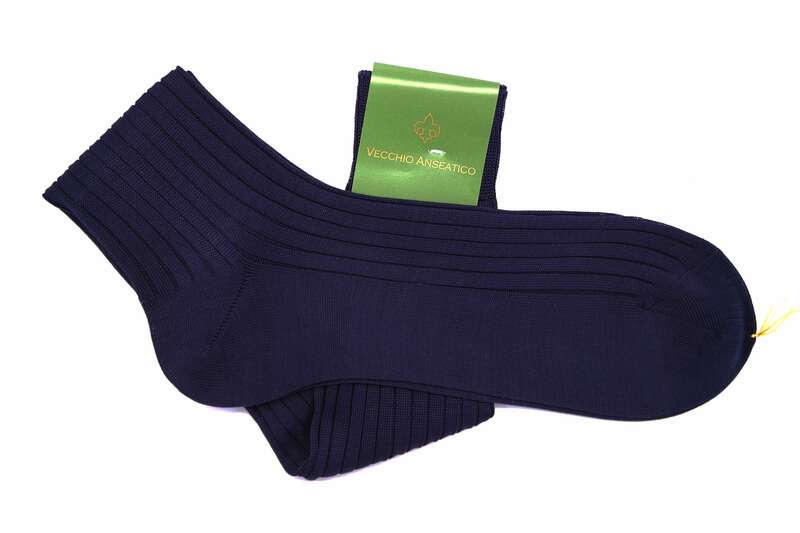 These navy over-the-calf socks are made from mercerised Egyptian cotton by renowned sock manufacturer Bresciani. The cotton we have selected is a little heavier than their usual offering and therefore perfect for a moderate fall, winter and spring. 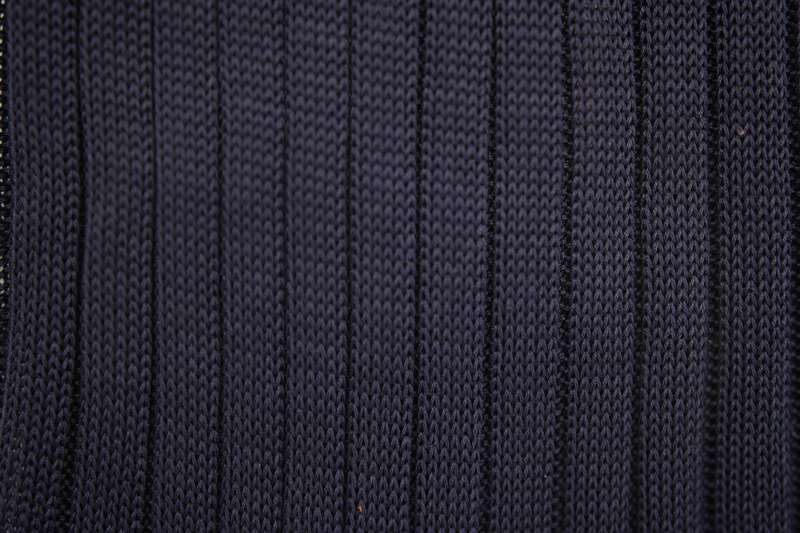 It feels tremendously soft against the skin yet the the reinforced heel and toe make the socks outstandingly durable. Pair them with a navy suit and black single monks for a classic look or go bold(er) with light grey cavalry twill pants and burgundy tassel loafers.